1. What exactly is laminate? Laminate is a handy material made from layers of paper that are tightly pressed together to form a thin, rigid sheet that is fairly easy to work with. his sheet is then glued to a wood substrate typically for countertops. 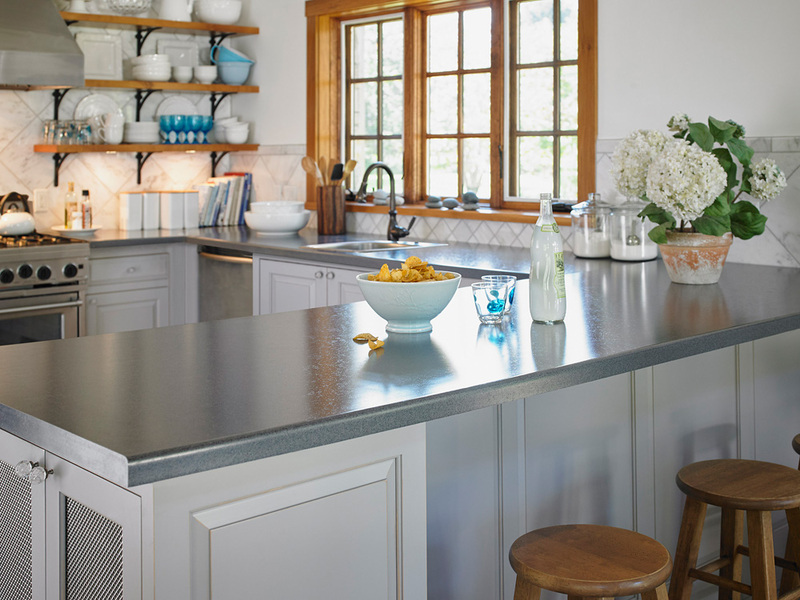 It is a low-maintenance, inexpensive choice for a kitchen countertop. 2. What should I do if my laminate countertop gets damaged? Maintain your countertop by cleaning it regularly, just like any other countertop. Keep in mind that even though laminate countertops are stain resistant and scratch resistant, they cannot be repaired if they get chips, cracks, burns, water damage, or impact damage, so you may wish to replace them if any of these incidences occur. 3. Can I have an under-mount sink in Laminate Countertops? 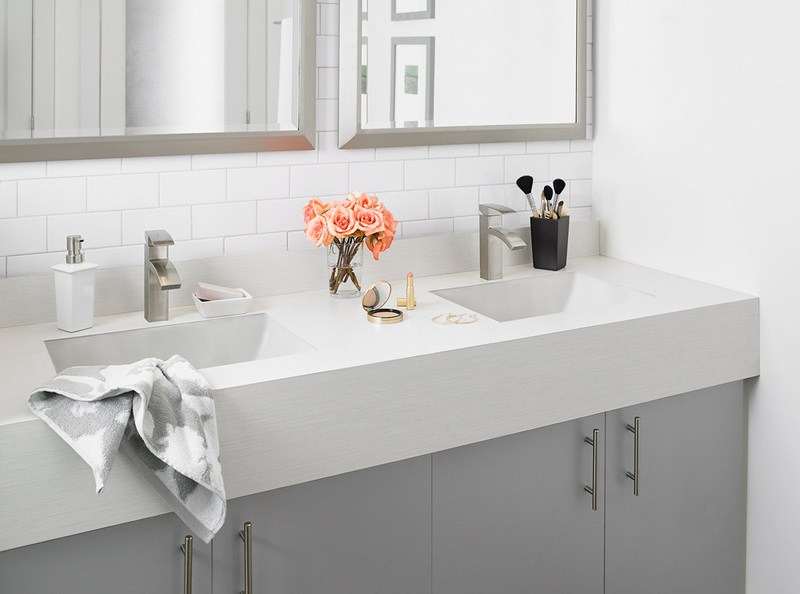 With the use of an attached solid surface ring, select sinks can be under-mounted to laminate countertops with an accent. If you are looking for a seamless solution, your best option would be to purchase a Karran Edge Series sink which can be mounted directly to the laminate for that seamless look. 4. Will I have seams in my Laminate Countertops? 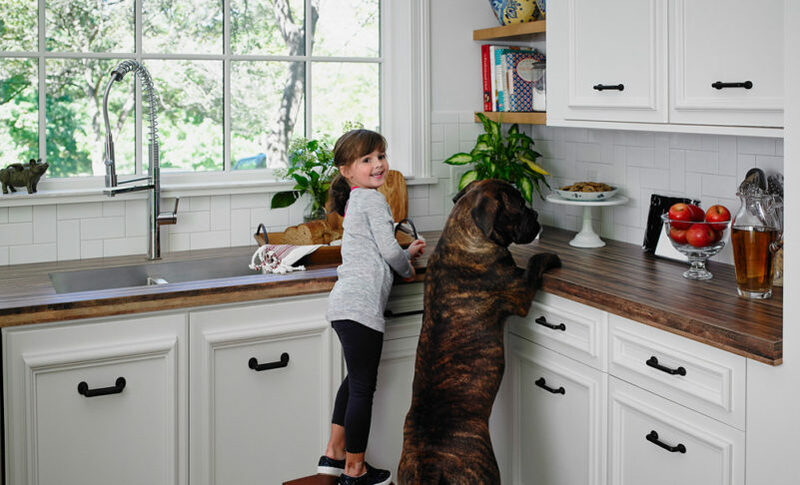 Depending on the size and shape of your countertops a seam may be inevitable. 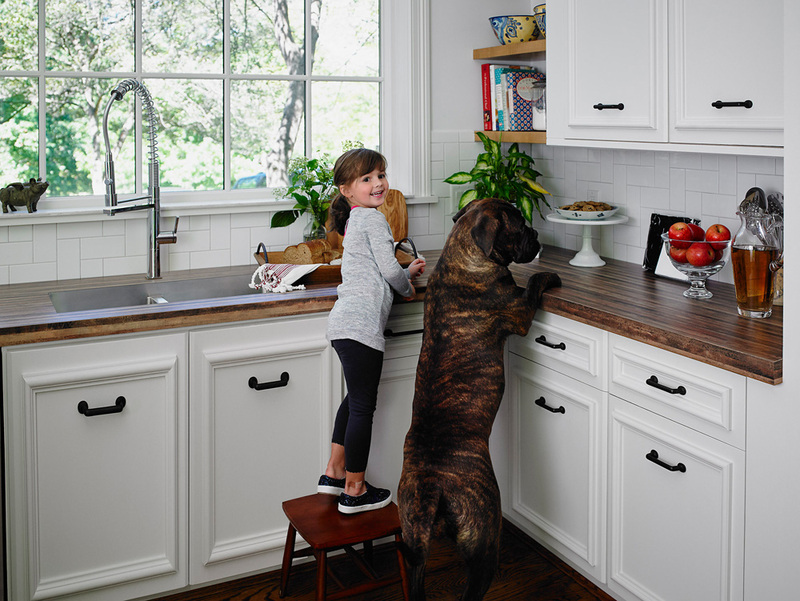 Corner seams in post-form countertops are most common, as it is easier to hide and in most cases is far from the sink and other plumbed fixtures. If you have a corner sink, the flat-lay laminate is the best option to keep seams far from water run-off. 5. 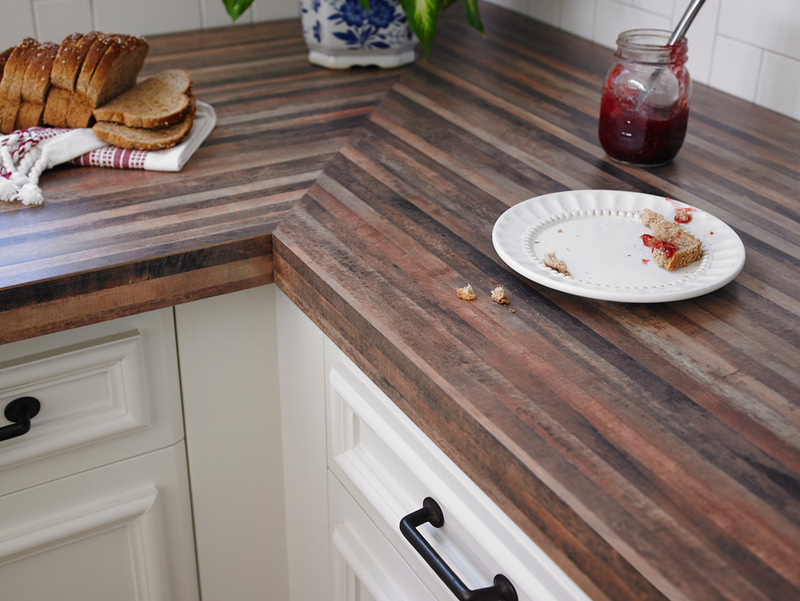 Are there different types of laminate countertops to choose from? 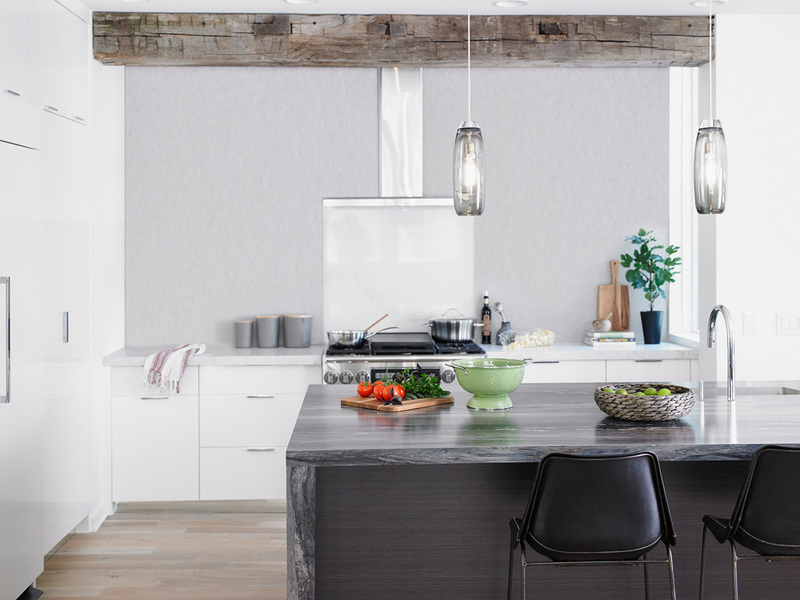 We have two collections of laminate countertops at FLOFORM: the Post-Form Collection that can actually be heated and bent to create backsplashes and wrapped front profiles, and the Custom Collection ­— also known as Flat Lay, allowing for all kinds of custom shapes and sizes (only with attached backsplashes, however). We carry an assortment of more than 150 stock colors and textures when it comes to laminate countertops, so you can be sure to find a type of laminate that is just right for your style and your kitchen! We want to make a visit to you and show all the surfaces, colors and prices for our countertops. 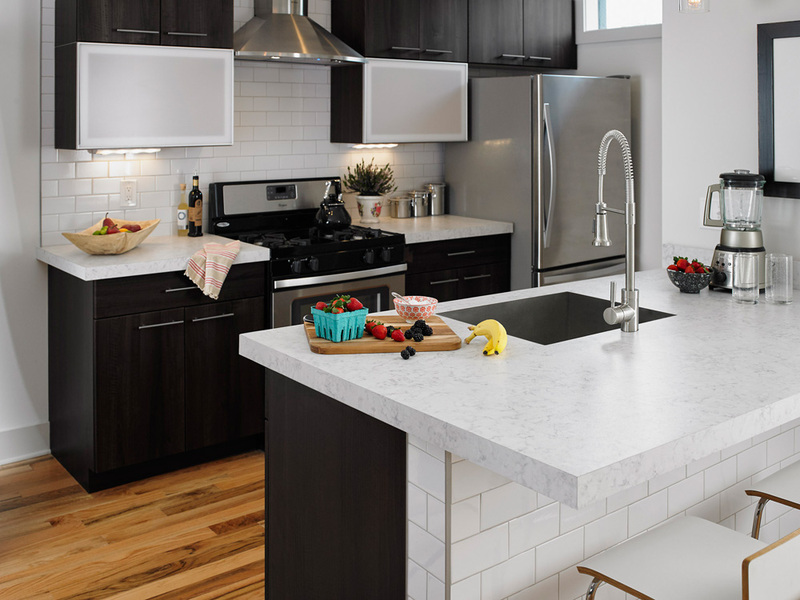 Just so you know, we’ve been selling, fabricating and installing countertops for more than 55 years now. Fill the form below and let us introduce to you the most beautiful premium countertops available in the market.